Why Don’t Travellers Care About Russia’s Revolution Centenary? Normally, when a country marks a major event in its history, travellers flock from all over the world to partake in the once-in-a-lifetime opportunity. However, the anniversary of one of the most significant events of the 20th century has just passed almost completely unnoticed—at least in Western tourism circles. This year marks the 100th anniversary of the Russian Revolution, and while there were not the sort of countrywide celebrations we saw in Canada for the 150th anniversary of Confederation this year, it was still an historic event. Admittedly, the centenary may not stir the average wanderlust the way Rio’s Carnival does, but it would certainly appeal to history buffs and culture vultures. So why hasn’t Russia thrown wide the tourism doors to capitalize on it? The first reason is that it’s a little awkward. Except for a couple countries here and there, communism isn’t exactly the flavour of the month anymore, even in Russia itself. To dryly mark the revolution as an historic event is one thing; to grandly mark it as a major commemoration is more complicated. President Vladimir Putin’s Soviet predecessors would have undoubtedly celebrated the Great October Socialist Revolution (as the Soviets called it), while others (like former president Boris Yeltsin) would likely have publicly condemned it as a blot on the Russian landscape. But Putin has often attempted to avoid both positions by toeing a finer line that weaves between the sensibilities of both his pro-democracy supporters and those who still pine for “the good ol’ days”—not to mention certain current Russian allies around the world who still look favourably on communism. That line has seen him celebrate the accomplishments of the Soviet Union (the Space Race, victory in the Second World War, etc.) without glorifying the seminal event that brought the Soviet Union about in the first place. Therefore, the somewhat subdued nature of the anniversary that evolved was not especially conducive to an international marketing campaign. The second reason for the lack of effort to attract Westerners to such a monumental milestone is more pertinent to travellers, and that is that present-day Russia isn’t exactly warm and fuzzy when it comes to welcoming tourists at all, despite having an economy that could benefit from a few of their dollars. While Russia has made some effort to attract tourists from China—according to Foreign Policy magazine (citing stats from the Russian tour agency World Without Borders), 1.3 million Chinese visited the country in 2016, spending approximately $3 billion, and more than 6,000 were expected to go to Lenin’s birthplace this year alone—it’s been a while since there was a mass marketing campaign in North America, for example (excluding anonymous subliminal social media ads, perhaps!). And for those who do decide to go there of their own accord, Russia still doesn’t really welcome them with open arms. Instead there are complicated visa requirements, institutionalized prejudice, and a police force mentioned more often on traveller message boards for their inclination to hassle tourists than to offer them directions. There were some special events to mark the Bolshevik anniversary, of course. A few museum and gallery exhibitions, a special performance by the Bolshoi and some movies and documentaries, but nothing to really lure the foreign masses beyond just the occasion itself. And in my opinion, that’s a shame. 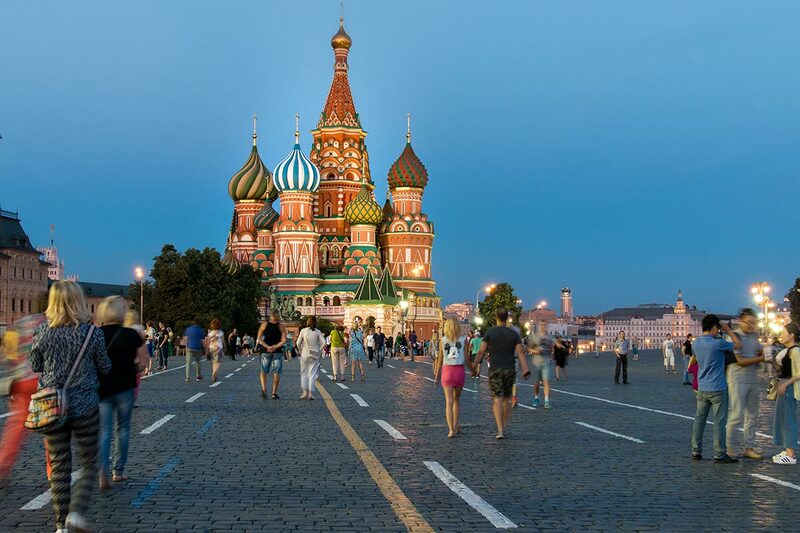 Russia has so much to offer travellers, from magnificent culture to unspoiled wilderness, while enlightened and knowledgeable travellers have so much to offer any Russian with whom they may come into contact. But there remain some hurdles to overcome before it can become a mainstream tourist destination. As anyone who reads my column knows, I have mixed feelings about financing and legitimizing governments through tourism, but I do believe strongly in the benefits of travel. Next year, Russia hosts the FIFA World Cup of soccer, the world’s largest sporting event. Likely millions of visitors will descend on the country over the course of one month to follow their teams or to just take in the spectacle. With matches played everywhere from Moscow and St. Petersburg to Nizhny Novgorod and Volgograd, Russia will experience a tourist invasion unlike any they have ever had before—including the 2014 Sochi Winter Olympics, and the boycotted 1980 Moscow Summer Olympics. Although I have my fears that that influx won’t be as revolutionary for the country as I would like, I remain hopeful the event will have an overall positive effect, and make it a more open and accepting place for visitors. And as a result, perhaps next time Russia marks a major anniversary, it will indeed be a world event. Dancing with the Dictators: Can You Ethically Visit Countries with Corrupt Governments?